An ex-Trump adviser, several news organizations and Trump’s favourite Fox News morning show have dumped on Trudeau in a wake of the jobs grants controversy. WASHINGTON — Prime Minister Justin Trudeau’s views on abortion are raising the ire of the U.S. right. A former Trump White House adviser, several news organizations and the U.S. president’s favourite Fox News morning show have all dumped on Trudeau’s explanation for why pro-life groups should be excluded from $220 million in federal jobs grants. “This man is reprehensible,” tweeted former White House staffer Sebastian Gorka. It’s not the first time Trudeau has landed on the radar of the American right. John Ivison: No picking and choosing on the Charter, unless it suits Trudeau’s Liberals. 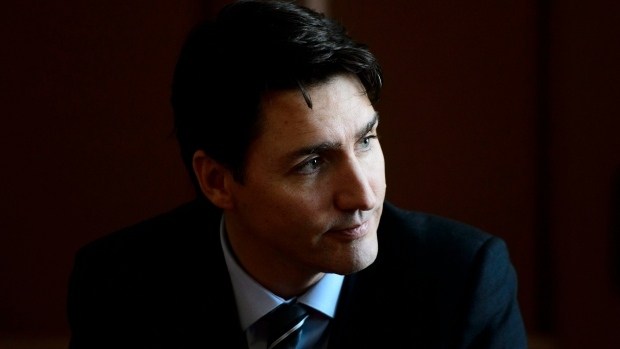 Trudeau discussed the controversy in an interview Monday with The Canadian Press. He said he’s a Catholic who has long had to reconcile his religious beliefs with his responsibilities as a political leader and he said the latter demands that he defend people’s rights. In this case, he said that means a woman’s right to choose trumps the right to a federal grant. “An organization that has as its stated goal to remove rights from Canadians, to remove the right that women have fought for to determine what happens to their own bodies, is not in line with where the charter (of Rights) is or where the government of Canada is,” Trudeau said Monday.